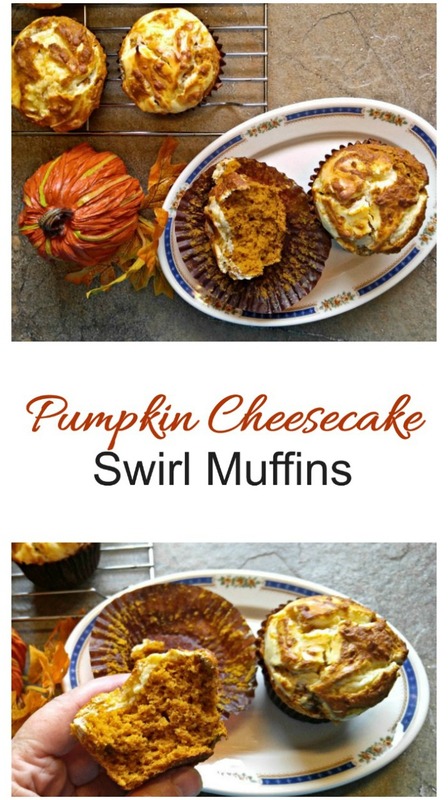 These Pumpkin Cheesecake Muffins have a delicious cream cheese layer that is swirled into a soft and fluffy pumpkin muffin. They are perfect for fall! And since October 21 is National Pumpkin Cheesecake Day, that makes it a great day to try this recipe! There are lots of fun food days in October. National Cake Decorating Day comes on October 10. Check out this post for some cake decorating tips and recipes. Pumpkin season is upon us and that means using this fall vegetable in all sorts of pumpkin recipes. It’s the perfect recipe to celebrate one of the many National Days. 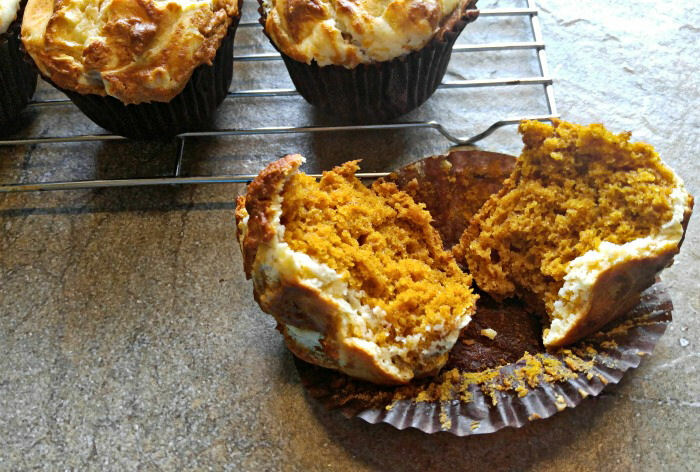 This recipe is not strictly a cheesecake, but the cream cheese layer gives a lovely cheesecake-like finish to these delicious pumpkin muffins. 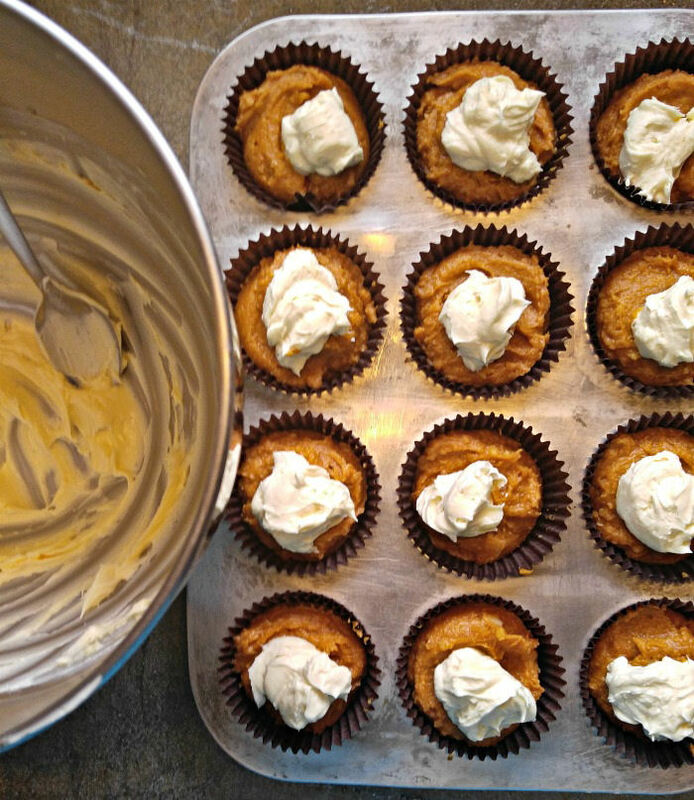 Ready to celebrate this special day with these pumpkin cream cheese swirl muffins? 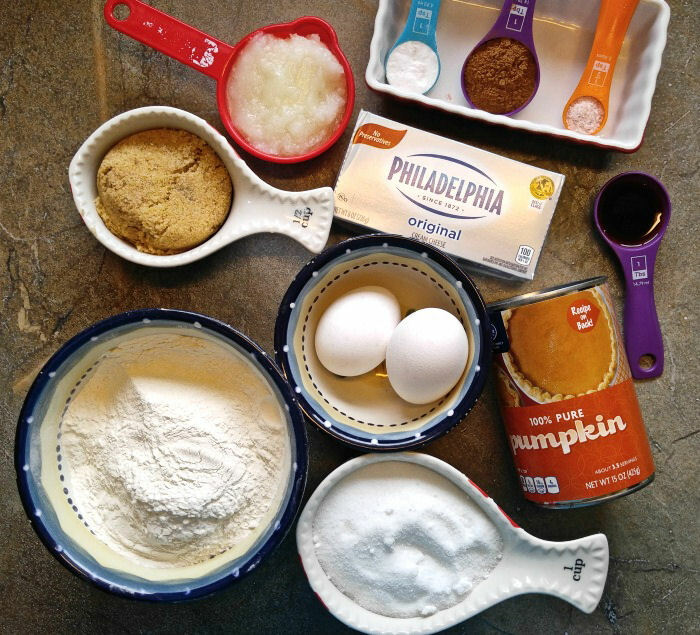 Let’s make some pumpkin cheesecake muffins! These muffins are one of the lightest and fluffiest ones that I have made in a long time. I used self rising flour for today’s recipe and they rose up beautifully with nice rounded tops. 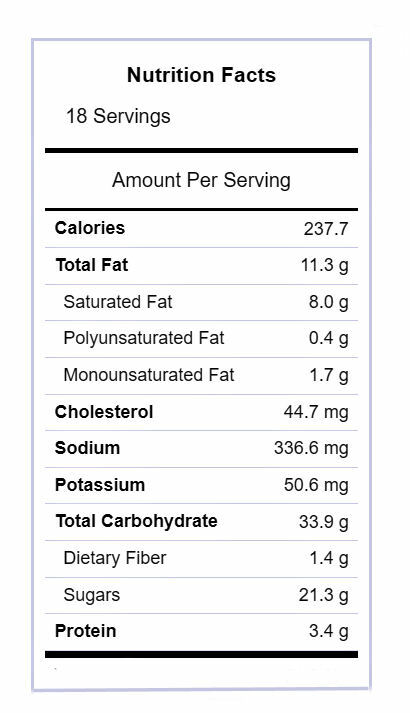 Also,coconut oil gives the muffins a dose of heart healthy fat. The recipe features a nice combination of granulated and brown sugar, combined with the flour, pumpkin puree, and spices. The cheesecake layer adds a lovely light and fluffy topping to the muffin with a rich finish and delicious taste. 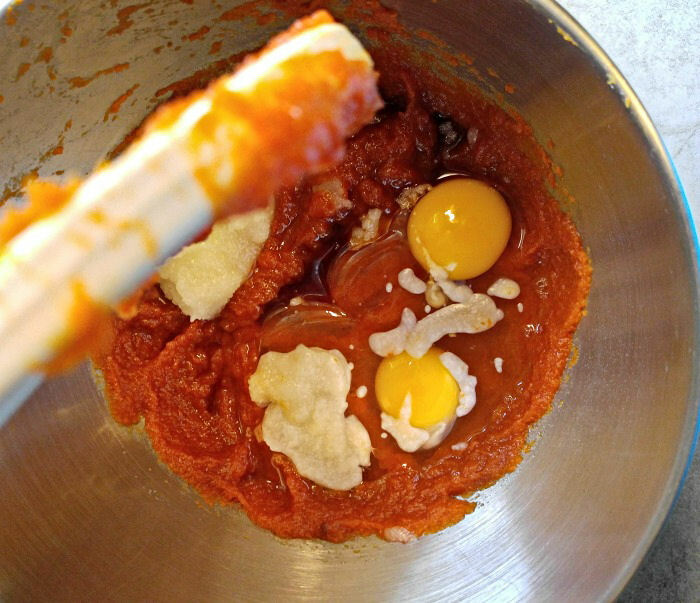 Whisk your muffin dry ingredients in a bowl and set aside. Next, combine the pumpkin puree, granulated sugar and brown sugar in a stand mixer. 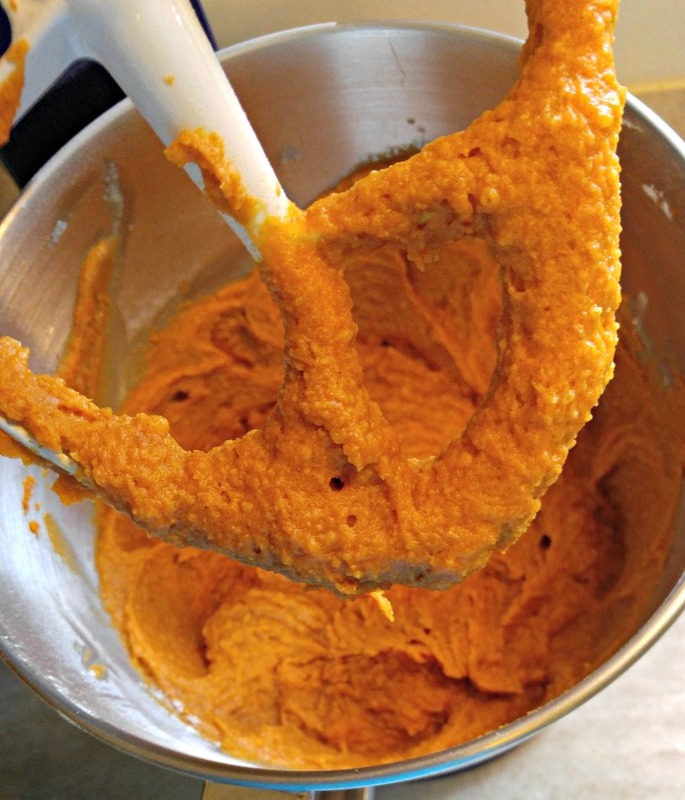 You can use canned pumpkin puree, or make your own fresh pumpkin puree. Beat in the eggs, coconut oil and vanilla extract. Gradually add the flour mixture but don’t over beat. Just mix until there are no lumps in the batter. I used an ice cream scoop to spoon the muffin batter into the muffin cups, making them about 3/4 full. The batter is very thick and seems kind of heavy at this point, but you won’t believe how light the muffins are when they are done. Clean out your mixing bowl, and beat the cream cheese . Mix in the sugar, egg yolk and pure vanilla extract and beat until the mixture is well combined and very smooth. Each muffin gets about 1 tablespoon of the cream cheese filling. It’s time to make that pretty swirl topping! I used a toothpick under the cheesecake batter to pull up a bit of the pumpkin batter and swirl it through. It looks sort of disheveled at this point, but will bake up into a pretty top once it is in the oven. Into the oven the muffins go for about 25 – 30 minutes until the tops have risen and are nicely colored and a toothpick in the center comes out clean. 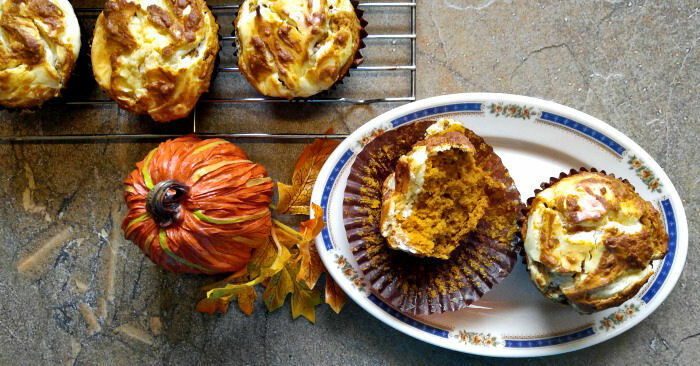 Just look how PRETTY these pumpkin cheesecake muffins are when they are done baking! Time to taste the pumpkin muffins. If you like a muffin that is light and fluffy with a rich, smooth topping, these muffins are for you. They are light as air and have a delicious pumpkin pie flavor on the bottom and a rich and creamy finish on the top of the muffin. My husband is not normally fond of pumpkin desserts. (I feel bad for him in the fall, since I cook them all the time for my blog!) But I can’t wait to have him try one of these muffins. Looking for a quick breakfast on the go? Look no further. These muffins are almost like having pumpkin pie for breakfast but in a fluffier (and tastier!) way. 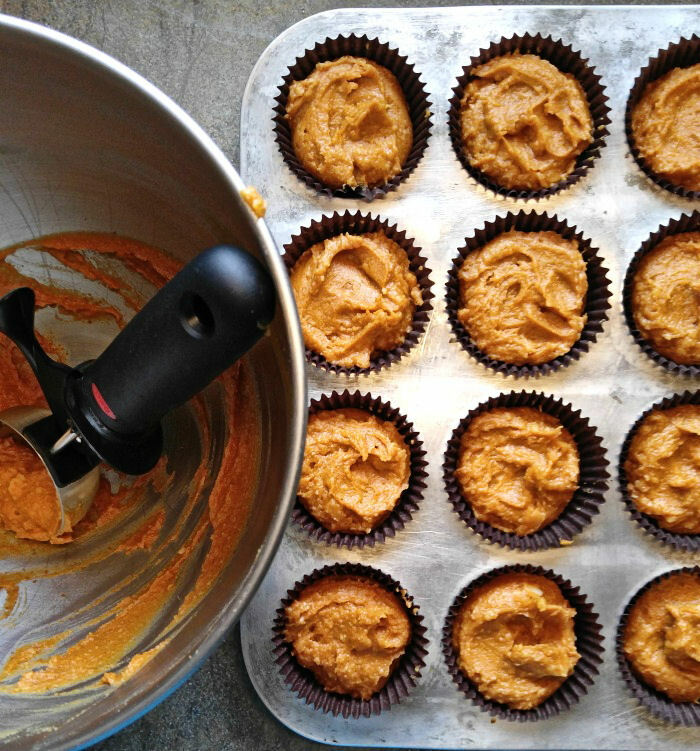 Get ready – it’s pumpkin cheesecake muffin time! These delicious muffins make a great snack, a perfect quick breakfast and I even like to serve them for dessert. They are not too sweet and have both a savory earthy thing going on and a delightful creamy finish. 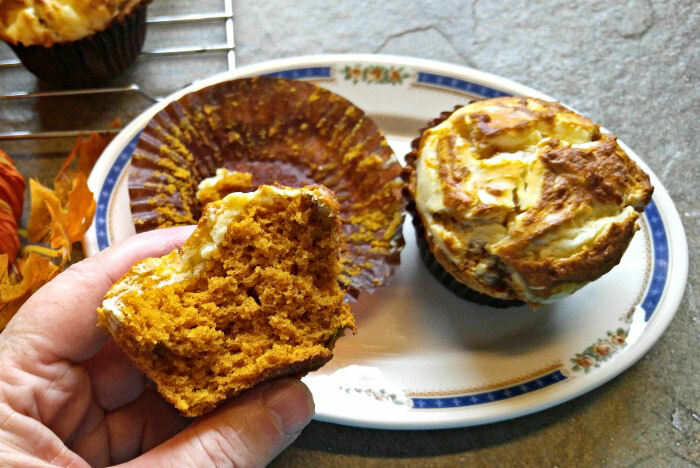 These pumpkin cream cheese muffins are so, so tasty! They work out to about 238 calories each. They would make the perfect Thanksgiving breakfast addition. 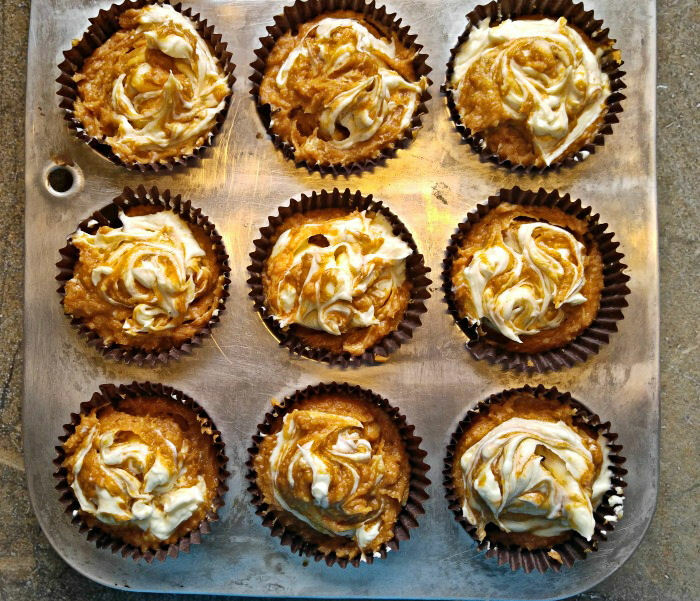 If you would like a reminder of this recipe for pumpkin cheesecake muffins, just pin this image to one of your Pinterest cooking boards. 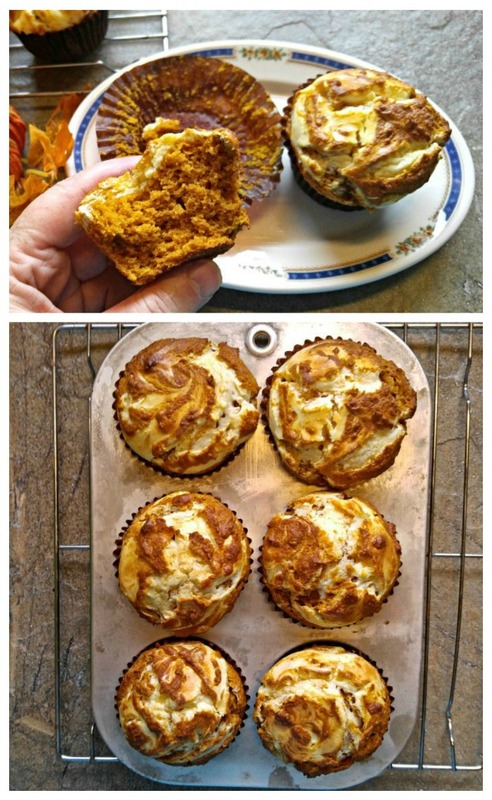 These pumpkin swirl muffins have a lovely layer of cream cheese on the top of the muffin. They are easy to make and perfect for a breakfast on the go. Preheat the oven to 375°F. Line your muffin pan with paper cupcake liners and set aside. 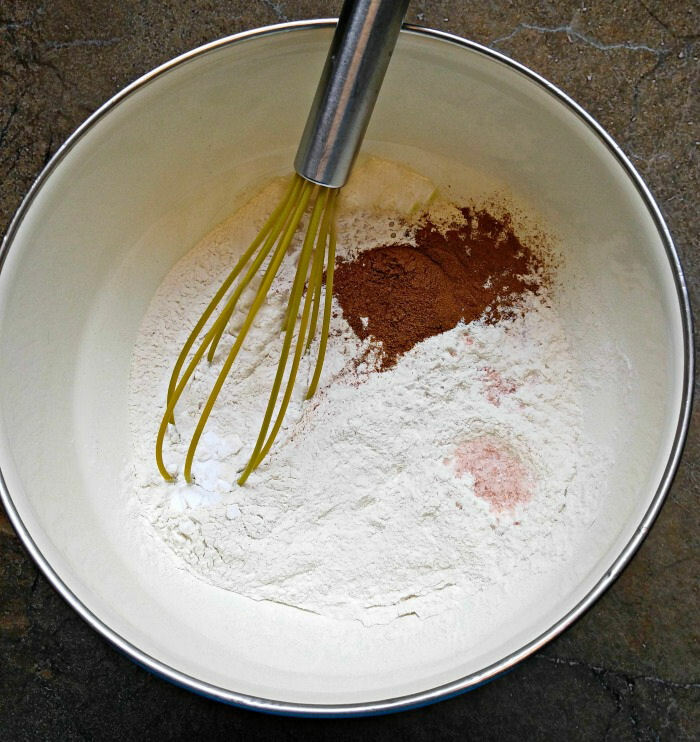 In a medium bowl, whisk together the flour, pumpkin pie spice, baking soda and sea salt until everything is well combined. . 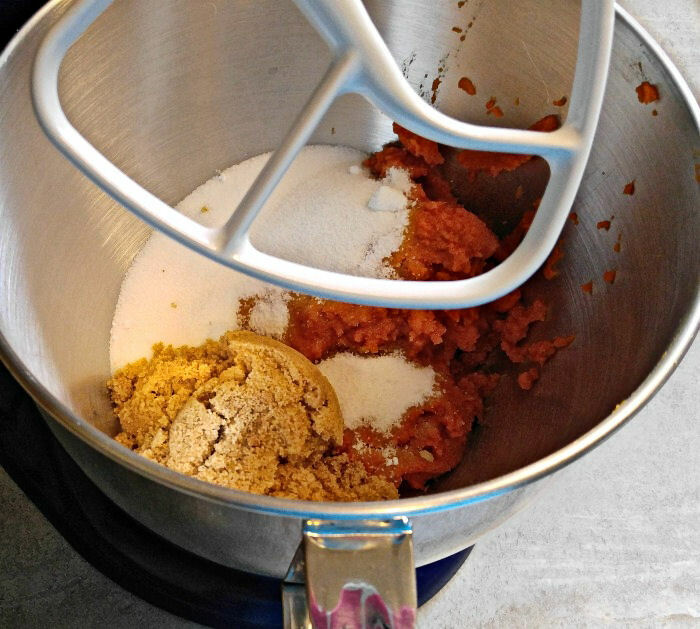 In the bowl of a stand mixer, mix the pumpkin puree, sugar and brown sugar. Beat in the eggs, coconut oil and pure vanilla extract. Gradually add the flour mixture, mixing just until no lumps are present. Use an ice cream scoop to fill the muffin tins 3/4 full. 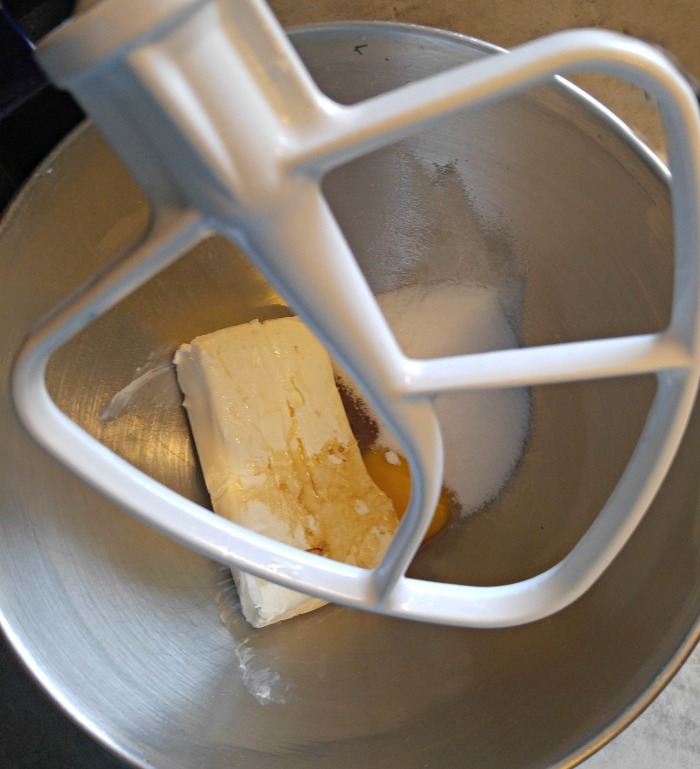 Clean out your mixing bowl, and beat the cream cheese until it is smooth. Mix in the sugar, egg yolk and pure vanilla extract and beat until the mixture is well combined and smooth. 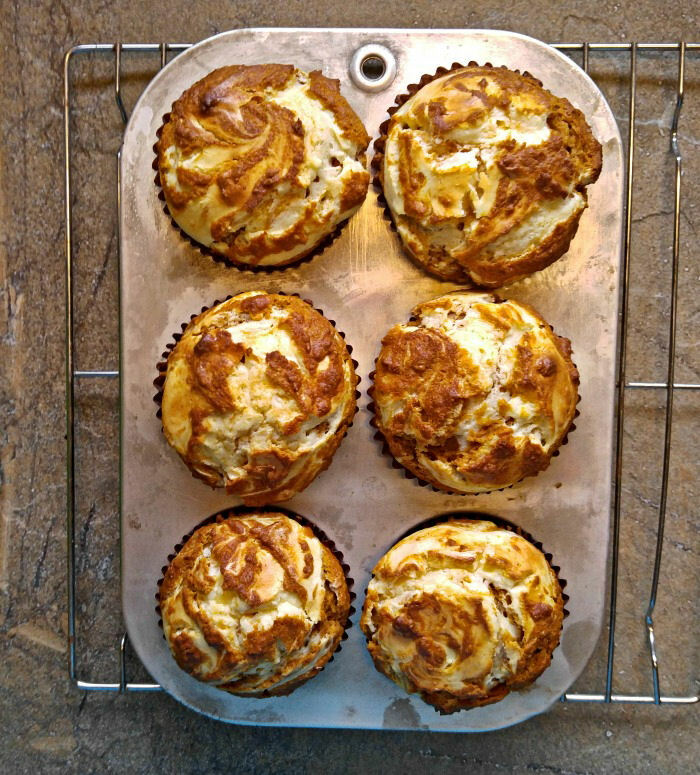 Add about 1 tbsp of the cream cheese mixture to each muffin and use a toothpick to swirl it into the batter. Bake the muffins for 20-25 minutes, or until a toothpick inserted in the center comes out clean.